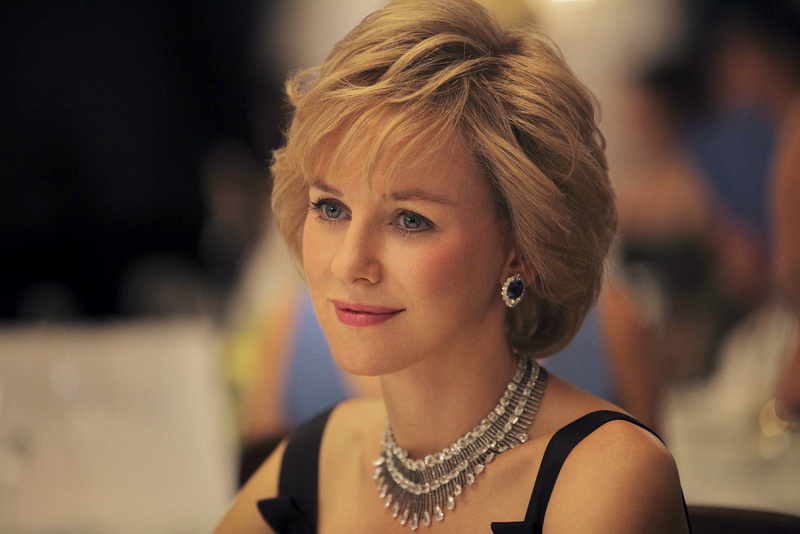 We’ve just been sent the press release and the first official image of Naomi Watts playing Princess Diana which seems to have changed its name from Caught in Flight to now simply ‘Diana‘ which seems to make a lot more sense. DIANA is a compelling portrait of Diana, Princess of Wales during the final two years of her life. It charts how finding true personal happiness allowed her to achieve her defining successes, as she evolved into a major international campaigner and humanitarian.Check out the image below and press release below that. Portrait of a Princess is directed by Oliver Hirschbiegel who also directed Downfall and is based on a screenplay by Stephen Jeffreys. Joining Naomi Watts will be fellow Brits Naveen Andrews as Dr Hasnat Khan, Douglas Hodge and Juliet Stevenson. This fab new photo was taken by Laurie Sparham and the look of Watts is rather uncanny. Click it to make it GROW! A definitive account of her most fulfilling years, Ecosse Films’ UK production DIANA shoots on location in Europe, Africa and in the Capital this summer. London, July 3 2012: Ecosse Films (NOWHERE BOY, WUTHERING HEIGHTS, MRS BROWN, BECOMING JANE) has today announced that their highly anticipated ‘Diana’ project has this week commenced shooting. Leading the cast is British-born Academy®-Award nominated actress Naomi Watts (J. EDGAR, FAIR GAME, 21 GRAMS) as the eponymous and iconic Princess. DIANA – previously reported under its working title of CAUGHT IN FLIGHT – will be directed by Oliver Hirschbiegel (Academy®-Award nominated for DOWNFALL), and is based on a screenplay by Stephen Jeffreys. Joining Naomi Watts will be fellow Brits Naveen Andrews as Dr Hasnat Khan, Douglas Hodge and Juliet Stevenson. DIANA is a compelling portrait of Diana, Princess of Wales during the final two years of her life. It charts how finding true personal happiness allowed her to achieve her defining successes, as she evolved into a major international campaigner and humanitarian. Locations for the 9-week shoot will include Croatia, Mozambique, as well as various locations in and around London and the South of England. DIANA is produced by Robert Bernstein and Douglas Rae of Ecosse and will be co-produced by Matt Delargy, James Saynor (also of Ecosse) and Paul Ritchie. Executive producers are Tim Haslam and Mark Woolley. Journalist and documentary filmmaker Kate Snell is acting as Associate Producer.